Representatives of a Catalan town hall have been ordered to appear before a judge after fulfilling their legal obligation to display a portrait of the reigning monarch ... using a passport-sized portrait of King Felipe VI. 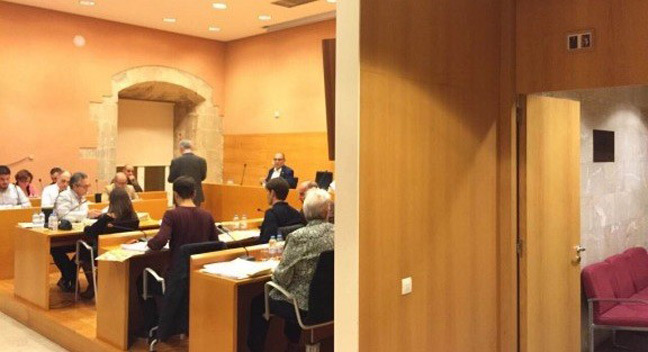 The 17-strong council in Torredembarra, Tarragona, voted unanimously to downsize Phil the Sixth on the grounds that while the law obliges it to hang the king in the council chamber, "it does not specify the size of the image". Felipe now has pride of place above a door adjacent to the chamber, next to an equally diminutive photo of Catalan president Artur Mas. It comes as no surprise that the Torredembarra's town hall is controlled by the Candidatura d'Unitat Popular (CUP), a far-left, pro-Catalan independence party which, apart from a natural disinclination to celebrate the Spanish monarchy, isn't too keen on Artur Mas as regional president.